Rent a Piece of Paradise, Best Location on the Island! 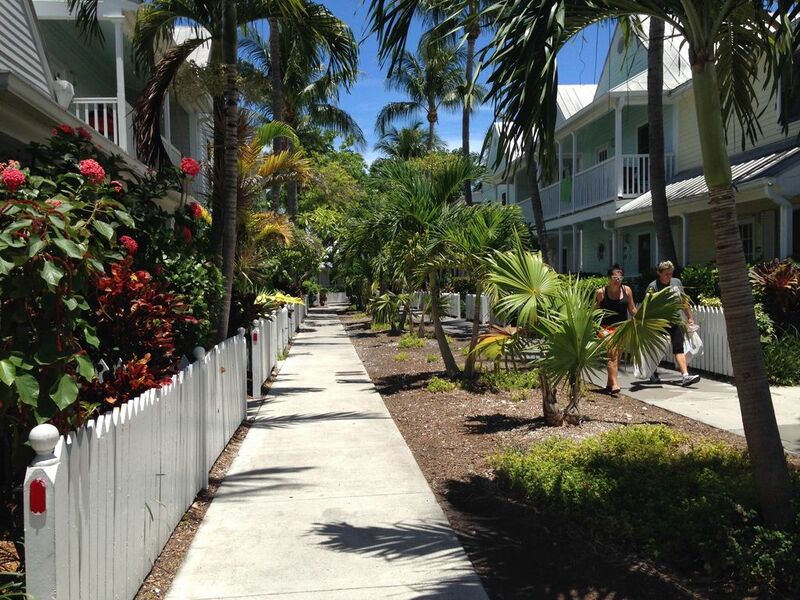 Rent a piece of paradise right in the heart of beautiful Old Town Key West. Walking distance to all major attraction (restaurants, bars, art galleries, nightlife). Condo is also located right near Fort Zachery Taylor State Park which has the best beach in Key West. We have a seven night minimum stay. There are 2 bedrooms, both have queen sized beds. Full kitchen, washer and dryer, all towels provided. We are a married couple, who love coming to Key West for all it's natural glory. Such as the beautiful waters and the snorkeling. We take great pride in our condo. We welcome visitors from all over the country. We have many repeat guests, who come year after year. They love to see what improvements we've made. We started vacationing in Key West in August. The first time we visited, there were yellow butterflies everywhere. At the pool we saw hummingbirds. The snorkeling at the beach was like swimming in a living aquarium. I was hooked! We have a great location, within a great location. It's the best! Our condo has everything a vacationer needs. We love art work, our condo is artfully decorated. Also, we have the best cleaner on the Island! We have a sunset view now. The whole sky lights up at sunset, right from our living room chair or the deck. The water you can too. New Air Conditioner, works great. There is parking for one vehicle. We offer HighSpeed Internet, plus Premium Channels such as HBO, and Starz. We provide plenty of beach towels, bath towels, and kitchen towels. Our living room is small, but very comfortable. It is Tropical but Earthy too. We love our new refrigerator. There are plenty of spices for our guests to use. New dishes, and utensils. I like to cook, so there are good pots and pans. We are proud to say we have a new updated kitchen. Small dining area inside, or use the dining area on the deck. I love having breakfast out there. In the evening you can see the sunset. You can see the lighted Cruise Ships leaving Key West! There are 2 TVs. One in the living room, and one in the front bedroom. Our deck is new, as well as the deck furniture. So glad you enjoyed your time. Donna, thank you so much for sharing your beautiful condo with us for our annual New Years vacation! Everything was perfect, clean and comfortable. Such an awesome location too. Close to everything. We are considering renting again for our next trip. My husband and I returned from our first trip to Key West last week. We were very pleased with this condo rental. It had absolutely everything we needed and is very clean and comfortable. It was nice having a washer and dryer so we could pack less and not incur checked bag fees. The kitchen has all the dishes, cookware, pans, and gadgets you could need. It was nice having a deck for sitting outside and a bbq pit for preparing quick meals. I must say, the mattress was very comfortable and we slept well - better than home! We really liked the location, just two blocks from Duval, and easy walking to many shops, restaurants, and our hangout, The Green Parrot. The owner, Donna, is very nice to talk to and very helpful. We would definitely rent this condo again! This condo was a great place. The beds are very comfortable. It was very clean, they stocked everything you could need, including some spices. The back deck with the table, chairs, umbrella & grill were perfect. Nice & quiet. The grounds of this complex were very well maintained. Made for an excellent trip to Key West! I can't say enough good things about this condo. Great location, comfy beds, super clean. Close to everything, quiet, great beds and accommodations. We will be back for sure!! We do not give refunds, however, you may choose another week around the same season. If you are uncertain about your stay for any reason, please purchase Trip Insurance. WWW.VACATIONPROTECTION.COM or CSA 18003498218.